Two activities in one is always a good idea in my book. Add to that a great, affordable idea for a Christmas gift for boys or girls and it’s pretty much sold to me. 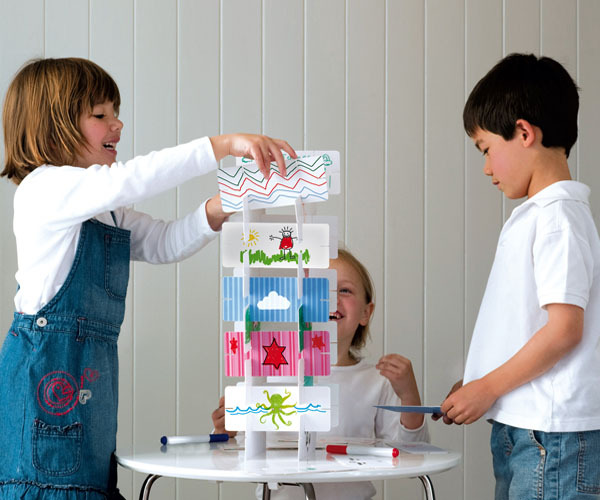 Brisbane-based Toetum Kids are introducing this terrific Art Tower, a kit consisting of twenty blank art cards (double-sided of course) to be drawn on and decorated with whatever your child imagines. The cards then cleverly slot together to create any number of different towers or buildings. What a great idea! So many possibilities with endless ways of putting together artistic masterpieces – I love that this challenges kids to come up with their own ideas of what to invent. 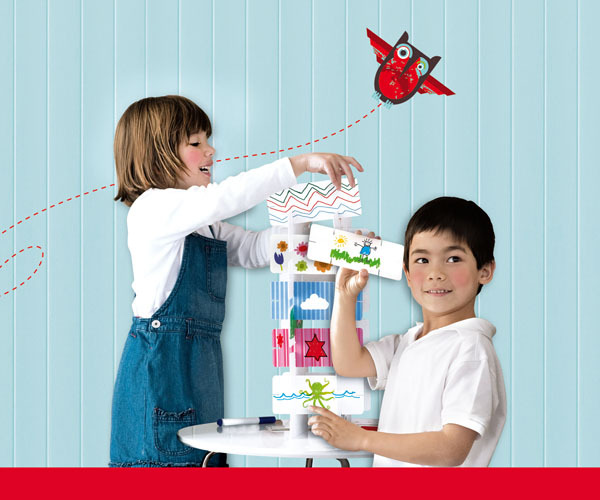 Plus it works for older kids as well as younger budding artists or architects. The pack comes complete with twenty-four felt pens, twenty blank cards and a storage tube. At $19.95 this is a perfect, inexpensive stocking stuffer for Christmas, available online from Toetum Kids.